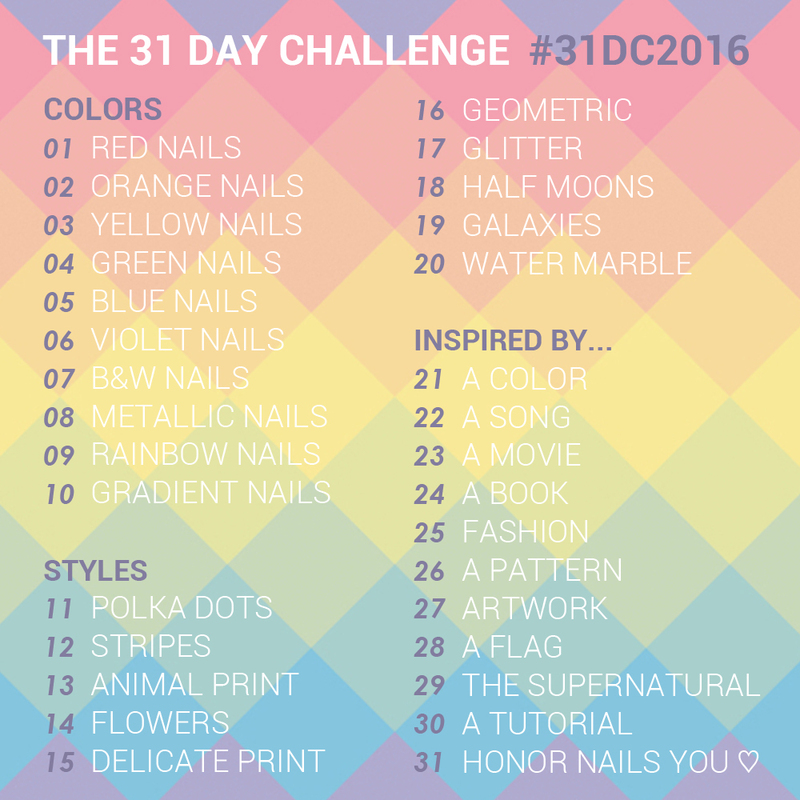 For the Gradient prompt I wanted to do something different than a gradient background, so I decided to do some gradient stamping instead! (Ouuuu!) Check under the cut for more pics and info! 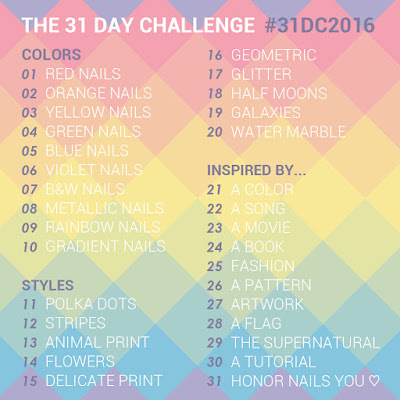 I started with a base of Sinful Colors Black on Black and a layer of China Glaze Moonlight the Night. 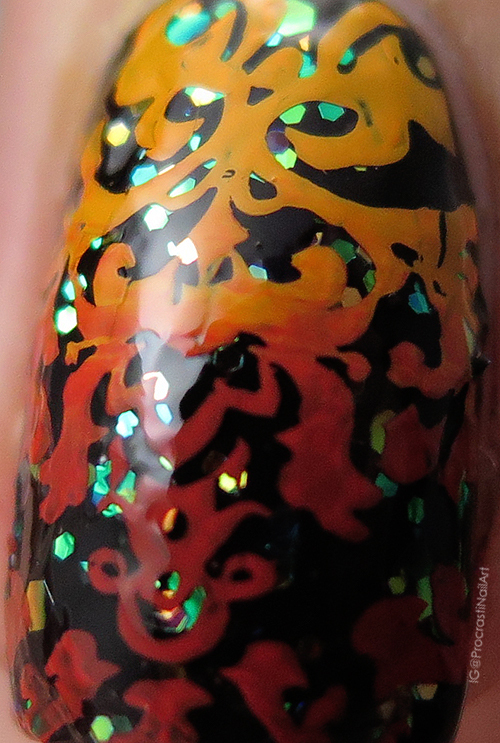 And then I pulled some of the colour from the irridescent glitter to choose my stamping shades (Mundo de Unas Sunflower and Reddish) to use with this image from MoYou London Bridal Collection 07. This is so fiery and fun! When I went to look up the plate name for this post I was shocked it was a bridal plate... The way I used the image makes it look anything but bridal! 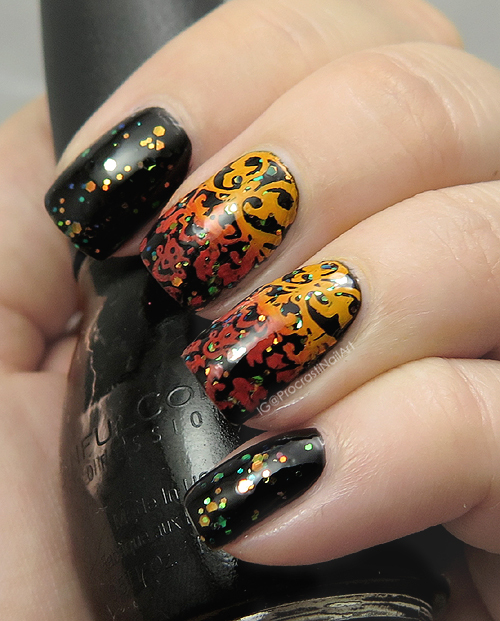 The gradient stamping really pops here. 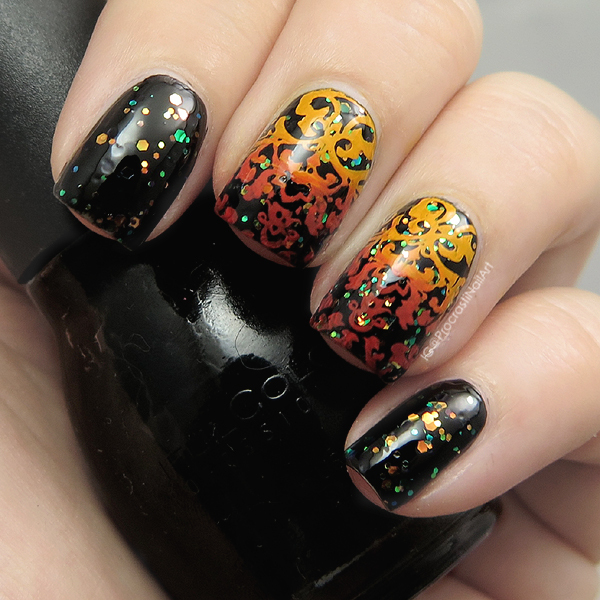 That stamping + that glitter = perfect combination! My boyfriend is sitting next to me and before I could even read a single word of your post he saw the pictures and went "Omg thats crazy good, could you do something like that?" Now I'm going to have to try. But Im looking forward to it. Haha, amazing! Your boyfriend is awesome! :) You can do it!! Share it with me when you're done! 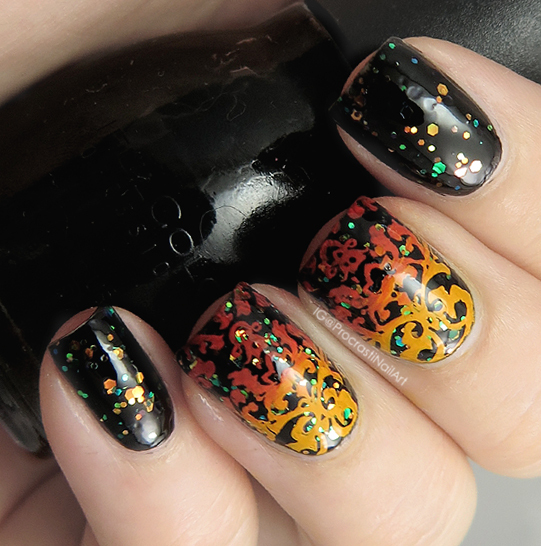 The gradient stamping is fiery indeed! Looks great! This is perfect for halloween! Beautiful gradient, I love how well the colors blend together. And its so glossy! !